Inside Historic Boston Inc.: Congratulations to The SWITCH, Hyde Park! Congratulations to Pat Tierney of The SWITCH, Hyde Park, for winning the City of Boston’s annual “Deck the Windows” contest. Tierney, who owns the Logan Square commercial block, is working with Historic Boston to develop a larger plan for the building, which also houses the historic Everett Square Theatre. In recent months, Tierney has renovated the space that now features the award-winning holiday window design. To activate this long-vacant storefront, Tierney came up with the idea to operate it as a “pop-up” store, where small businesses, non-profit organizations or individuals could rent out the space for a day, a week, a month, or more. The pop-up store space can be used to sell merchandise or to hold events. The contest, which is held city-wide each December, brings attention to Main Street district businesses by showcasing storefronts decorated for the holidays and inviting residents to vote on their favorites. Please join Historic Boston in congratulating Pat Tierney for a winning window- and for a winning business idea for her historic building! 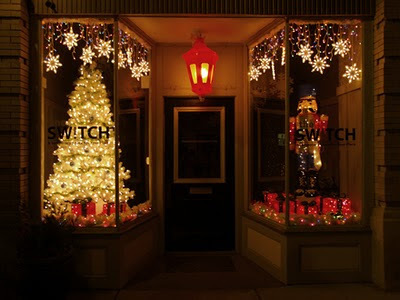 Visit The SWITCH’s website for more information about the space, including how to rent the store. For more information about the contest, see the City’s website or this article by the Boston Globe.